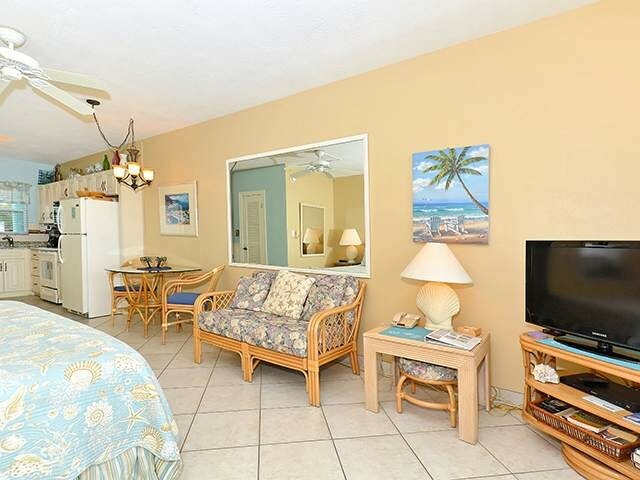 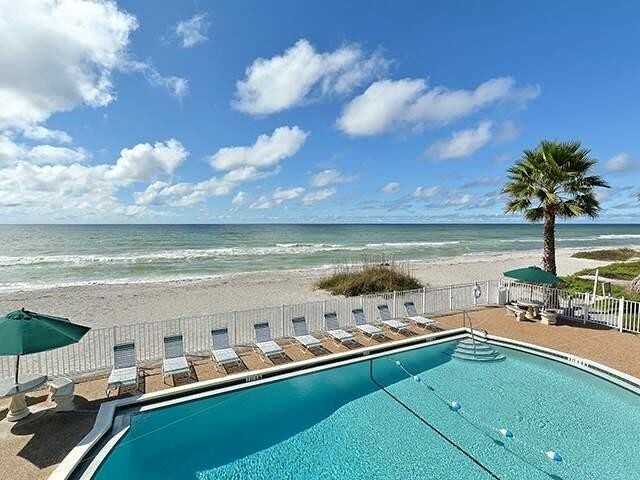 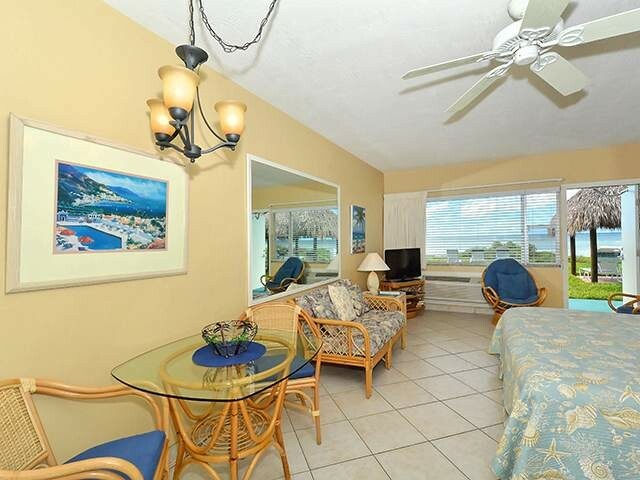 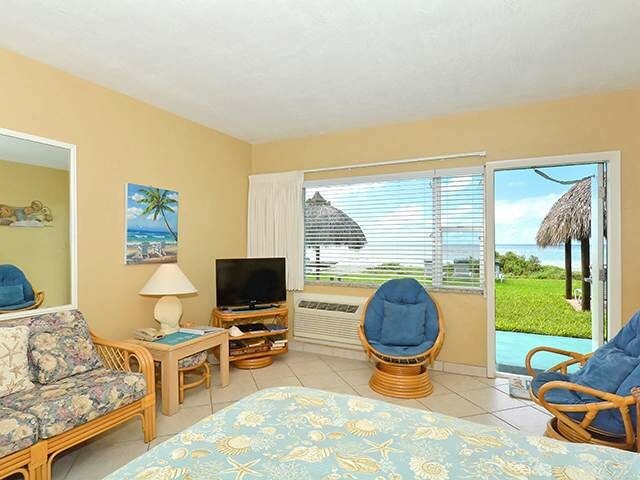 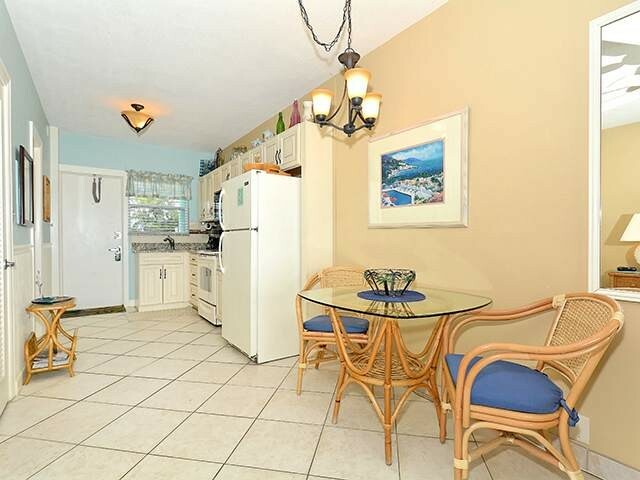 You will be only steps from the beautiful 500' of beachfront and from the pool. 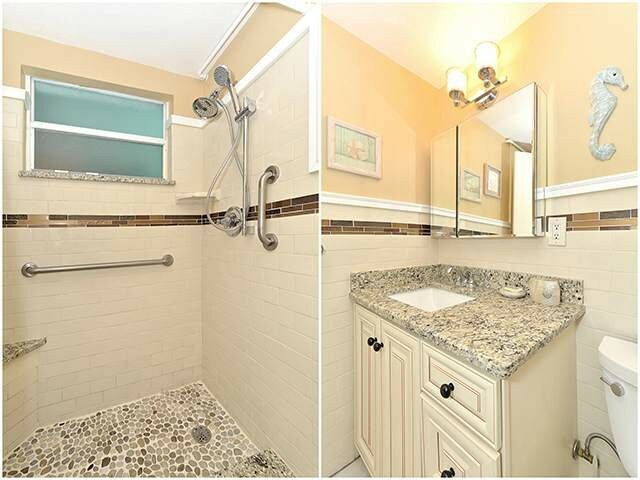 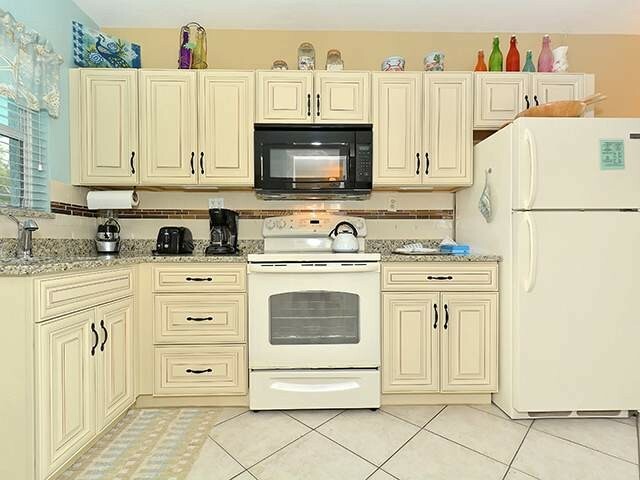 This remodeled/redecorated 1st floor studio condo has new cabinets and granite countertops in both the fully equipped kitchen with smooth top range and the bathroom with a walk-in shower with grab bars and small bench. 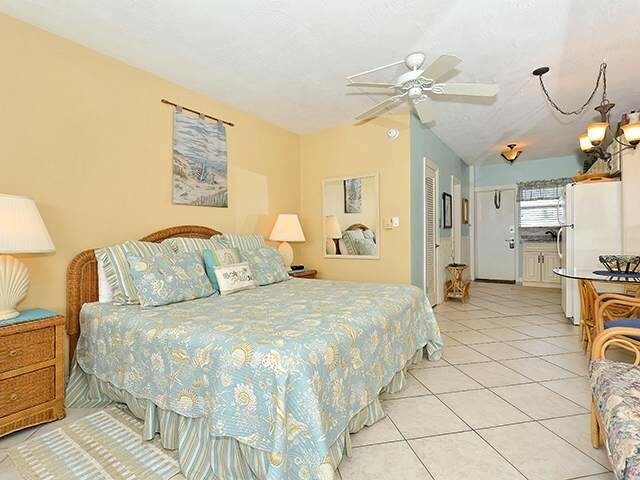 Enjoy the new king size bed, the walk-in closet and tile floor throughout. 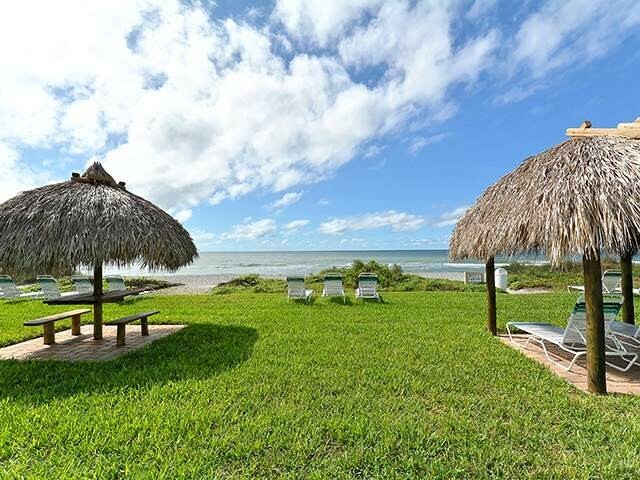 Great location mid-Longboat Key, minutes from Publix and only 10 minutes from St. Armand's Circle. 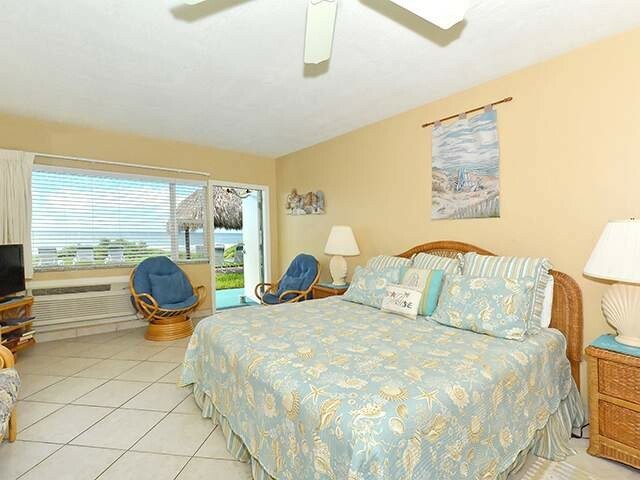 You will love relaxing at your home away from home!